If you’re a Yumi customer by now, you’ve probably noticed that we love chia seeds. Chia seeds can be found in many of our blends, from Razzie Chia to Blue Yamma. We sneak them in where we can. But why are we so obsessed with this tiny seed you might ask? Here’s why. Skin Health: Chia seeds’ rich antioxidant profile make them great for skin health. Digestive Health: Chia seeds contain around 11 grams of fiber per ounce. Fiber helps keep your digestive system in check, which means regular and healthy BMs. Strong Muscles & Bones: One ounce of chia seeds can contain around 15-20% of your daily calcium, and about 4.4 grams of protein. Strong Teeth: All that calcium? Great for healthy teeth too…especially baby teeth. When can my baby start eating blends with chia seeds? Babies can be introduced to chia seeds as early as 6-8 months. It’s important to make sure they are soaked and thoroughly mixed before serving (do not serve chia seeds dry). Here are some signs that your baby is ready for chia seeds. They’ve begun to try nibbles of fresh, whole foods such as sliced strawberries, bananas, avocados and steamed veggies. My baby doesn’t seem to like the chia seeds. What can I do? There’s no denying that the texture of chia pudding (chia + a liquid) will be unfamiliar to a baby at first. As with all new flavors and textures, you’re bound to get some funny faces, light gagging, and overall “guys-what is this? !” looks. Just keep trying! And if your baby really doesn’t seem to like it, you can try freezing your blends with chia seeds in them until you think you’re ready. 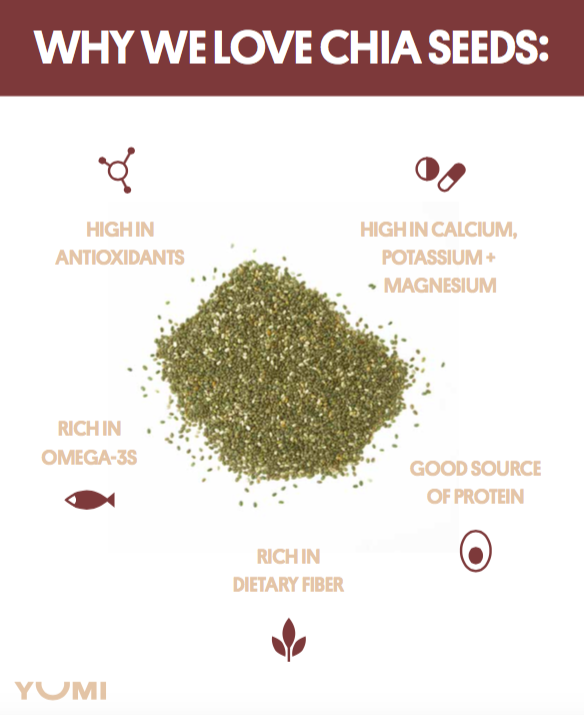 Trust us, you don’t want to miss out on the nutritive benefits of chia seeds, so it’s worth trying again in a week or so. My baby seems to be choking on the seeds. Help! 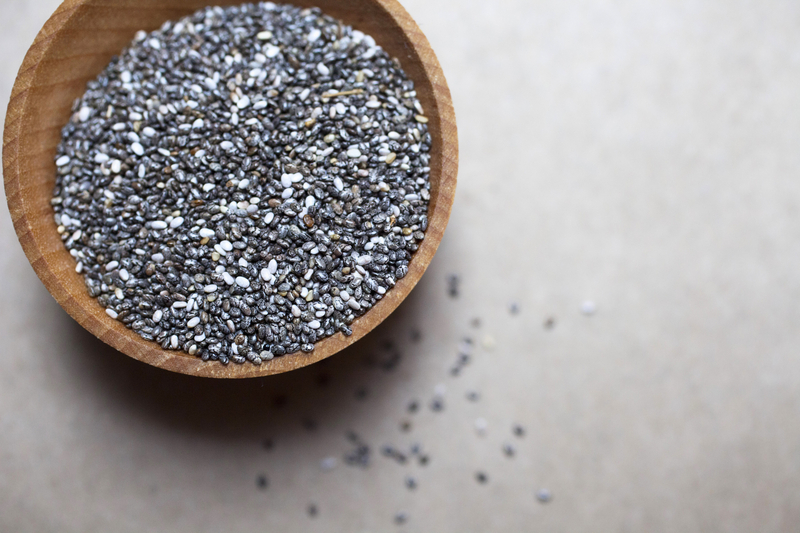 Don’t worry— chia seeds are approximately 2.1 millimeters long and 1.3 millimeters wide. That’s super tiny! Yep, even too tiny for a baby to choke on. Before serving make sure your chia pudding is properly mixed, to prevent any large clumping. Of course, as with many new textures, slight gagging may occur, however, choking won’t. So don’t worry! You got this. I am new to chia seeds. How do I “prepare” them? Is there any special process?